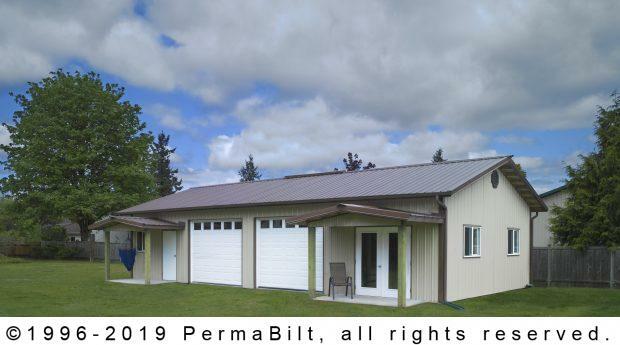 PermaBilt® team members take pride in the quality construction of every customer’s post frame building. 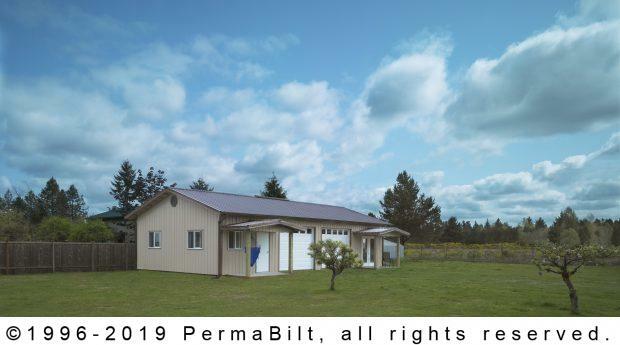 However when a client goes ‘first cabin’ in the design of their building, it enables us to put the “wow” factor in the completed post frame building. Such was the case with our client in Olympia Washington. 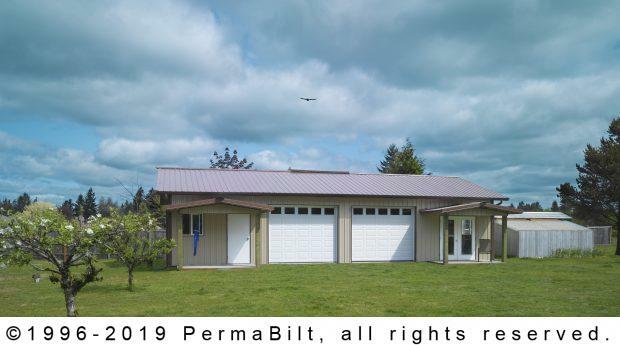 His dream was a 2 car steel garage and shop. Our Olympia client’s dream was crystal clear as he knew exactly what he wanted in the final outcome. As the picture attests, we delivered on this man’s dream! 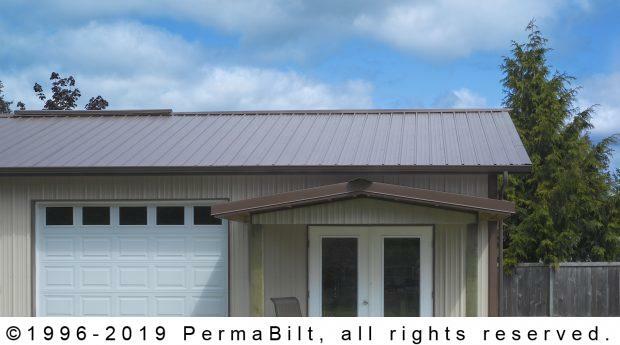 The porch covers, with a 2/12 pitch, over the (2) 10’ x 5’ patios really stand out on this garage. Also the 6’ x 6’8” French full glass door is a wonderful feature. The design and special building made for a phenomenal building.